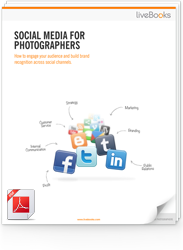 When I began my career as a photographer many years ago, I signed up for National Press Photographers Association and first learned about their seminar and convention programs. Being strapped for cash, as most graduate students are, I was informed NPPA gave free tuition to attend the Northern Short Course to students who volunteered for the program. As a volunteer, I attended my first ever NSC in Providence and was hooked. With free portfolio reviews by some of the industry’s best editors, seminars ranging from lighting to business skills, keynote speakers like Bill Eppridge, Joe McNally and social gatherings until the wee hours of the morning with titans like Sam Abell, I left with my batteries recharged, new photo story ideas and a fresh perspective on the industry. I’ve attended numerous workshops, seminars and conventions ever since and have always felt it was money well spent. The PDN PhotoPlus Expo in New York is a great place to see seminars, get inspired by amazing speakers and shop for the latest gadgets and gear. Likewise, the Look3: Festival of the Photograph is a wonderful 3 day event held in Charlottesville which celebrates photography from all over the world with three photography legends presenting each day. This year, I am a guest presenter at the NSC in Providence and will be teaching seminars on The Business of Nonprofits Photography and Photo Mechanic: In the Field. My fellow presenters and speakers are awe inspiring: Matt Eich, David Gilkey, Karen Kasmauski, Amy O’Leary and so many more. The workshops cover audio and multimedia, Final Cut software training, business skills for freelancers, a student’s guide to presenting your work and much more. As any photographer who has attended one of these seminars will tell you, professional development and networking in person cannot compare to being Facebook friends with photographers or hitting a happy hour every once in a while with other pros. The skills learned and the people you meet at these weekend-, week- or even day-long seminars is invaluable for your professional growth. I’ve made some of my best friends in the industry at these conventions, reconnected with colleagues I’ve not seen in years and seen presentations that reminded me why I became a photographer. Every year, NPPA and other organizations offer scholarships for students and working professionals. For example, the NSC offers full tuition opportunities for working pros and volunteering in exchange for the attendance fees and there are slots left for 2011. Many other groups offer members a discounted rate and reduced tuition for students. With prices under $500 for many seminars, you simply can’t pass these opportunities up. Trust me when I tell you: you won’t be disappointed when you invest in your career in this way! 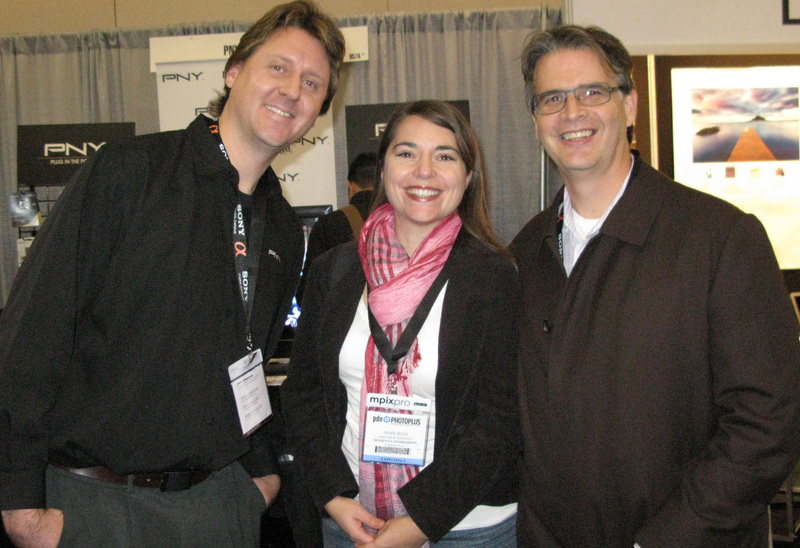 PNY’s Marc Ziccardi, Momenta Workshops Director Jamie Rose and WHNPA President and business expert John Harrington post at PNY booth at the PDN Photo Plus Expo October 2010. Yes I saw this, too. But I was happy to read it again.